Work for Cherwell IT Asset Management? Learning about Cherwell IT Asset Management? "Easy to use, links well"
I like that Asset Management is built into our existing call tracking software. Because the asset manager is inside the call tracker, when a call is submitted with the node name (includes identifying information like campus, building, department, asset tag and computer type) is added to the call, the tech is able to quickly view the configuration of the specific computer, like what hardware it has, who it belongs to, last reimage or rebuild date, etc. It can sometimes be difficult to search for a specific computer/device. I know that Apple TVs are in our catelog / inventory, but if i type "Apple TV cherwell cannot find the doftware, but if I type in an asset tag, it comes up with the title of the item as "Apple TV bla bla bla"
Use this product if you are able to integrate it with Cherwell call tracking and other software. We are able to easily see affected computers and their status with this tool. Tracking who has what equipment checked out to who, who issued it, when to get it back, etc. is very helpful. We also can see the individual specs, like how much memory, storage, etc is in the computer. Because it is all in one place, it makes us more organized, and Cherwell easily links out to other software and manager software as well. We can send preset emails to customers when their computers may be due for a replacement. The software allows for easy customization and is very easy to train others on using. It is very difficult to search for incidents if it does not have the precise information that was originally submitted, have to go through many back ways to find it. Also the web version does not have all the features unlocked that the client version does. I just create service requests that are sent out to tier 2 groups to work on. "Cherwell is easy to use for IT tickets "
Cherwell is relatively easy to use to enter It and hr tickets. I like the free form decsripton column the best so I can freely type notes corresponding to my issue. At times there is a delay when entering the ticket and receiving my ticket number. I wish it would be a bit faster. The best benefit is the ease of categorizing different issues users might be experiencing across the company. Very user friendly agent and has a web based version. We've just started using the cherwell platform for our service desk and asset management system. Nothing as of yet. We have just started using the system. Keeping track of all the assets in the company. Ranging anywhere from a cell phone to tablets to laptops and desktops. Easy to use. * We monitor all Cherwell IT Asset Management reviews to prevent fraudulent reviews and keep review quality high. We do not post reviews by company employees or direct competitors. Validated reviews require the user to submit a screenshot of the product containing their user ID, in order to verify a user is an actual user of the product. Hi there! 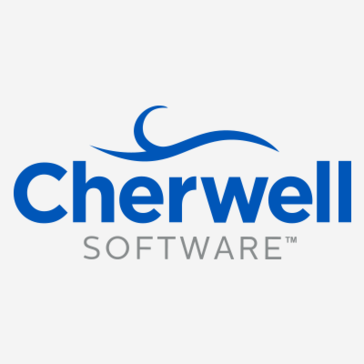 Are you looking to implement a solution like Cherwell IT Asset Management?